Brain scientist John Medina wrote the bestseller Brain Rules: 12 Principles for Surviving and Thriving at Work, Home, and School (2008). The book described 12 rules which we can use to organize our work and life in ways that fit the way our brains work. A rule which interested me and which I remember clearly (I read the book in 2008) is rule 4: "We don't pay attention to boring things" en in particular one aspect of that rule which is the 10-minute rule. John Medina writes that most people, when they listen to a presentation, lose their interest after roughly 10 minutes. He writes that this is a finding in peer reviewed research but also that it is unclear why the 10 minute limit is important and what precisely happens in the brain after those 10 minutes. What does this mean for situations in which you have to give a longer talk for an audience? 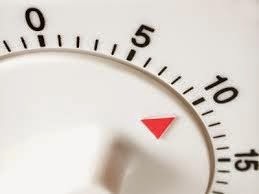 According to Medina you must do something emotionally relevant at each 10-minute mark to regain attention. He calls this a hook. An example of such a hook might be a cartoon which makes the audience laugh. Around the same time I read the book (in 2008) we were doing a large scale evaluation of our training courses. We tried to find out which parts of our training courses had been most useful to our participants. To our surprise a very clear picture emerged: all parts which directly involved practicing came our on top of the list of useful parts of our training courses. A part which came out practically at the bottom of the list were our powerpoint presentations. It had been our habit to start off our courses with presentation which lasted 30 to 45 minutes with the purpose of giving our participants some background of what we were going to do that day. I had noticed that occasionally some participants seemed to lose their attention a bit after 10 to 15 minutes but we usually carried on bravely when that happened. I had not expected these results of our evaluation study. We changed our approach a great deal since then. We practically never do powerpoint presentations anymore and put a strong emphasis on practicing. Furthermore we have started to pay much attention to the 10-minute rule. Although we are sometimes tempted to carry on talking endlessly when the topic is interesting ... we don't! We try to limit ourselves to John Medina's 10-minute time span. After that, there will be some sort of switch. Usually, this switch will mean that participants will start with the next exercise.